Have you been thinking about finding a great party favor for a kids event or for some other upcoming special activity? 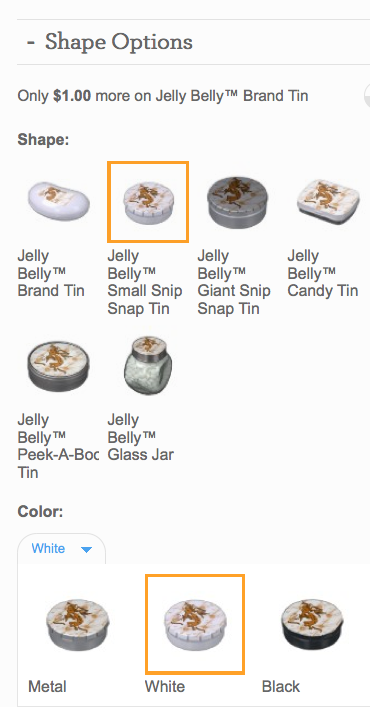 If so, here's a really fun idea from the teaming of Zazzle and Jelly Belly™ jelly bean company. You can personalize from a variety of container styles plus select a jelly bean flavor of choice or mints. Impress your party guests with these special personalized take home gifts full of jelly beans or mints and they go home with a keepsake container. You can order a random mix of 20 unique Jelly Belly™ jelly bean flavors or select a specific flavor from this list of 19: peach, pina colada, buttered popcorn, strawberry daiquiri, island punch, sunkist tangerine, Sunkist lemon, tutti fruitti, very cherry, cotton candy, lemon lime, green apple, bubble gum, watermelon, coconut, toasted marshmallow, orange sherbet, blueberry, and chocolate pudding. And, if you prefer mints, you also have that option. You may even want to order a certain amount of containers with one flavor while selecting another flavor for others. If you order in bulk you can save through a volume discount. With an order of 10 plus containers you earn a savings of 15% and an order of 25 plus earns a 35% discount. You'll see that discount information listed when you click on the quantity for your order. This kokopelli design shown at the top (click that image to see it on the product page) and at right is the Jelly Belly™ Small Snip Snap Tin as designated by the orange square. 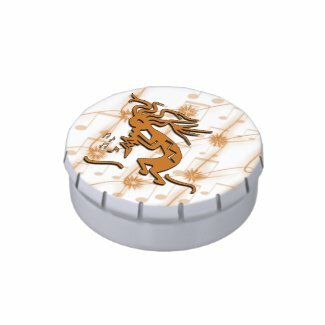 The candy awaits you when you open the custom designed lid. Snap the lid back and the freshness is preserved. The Small Snip Snap Tin (0.40 oz) is a great way to share a special occasion and candy with anyone. Excellent for baby or bridal showers, company celebrations, and holiday parties.These small Snip Snap tins are Print-to-the-edge photos, designs or text lid only customization. The screen shot at the right shows you all the container options and the colors offered (metal, white or black) for this particular small Snip Snap Tin shape. Not all tins and glass are available in the three colors you see here. 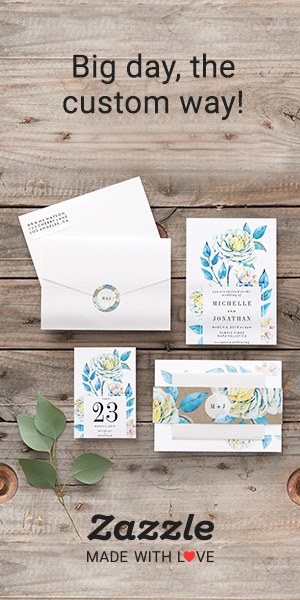 Thousands of talented artists and photographers are diligently adding custom designs to their Zazzle stores and the Zazzle Marketplace that you can personalize or purchase as you see them. You'll find thousands of choices at this link Zazzle Candy Tins like the custom Kokopelli designed jelly bean tin in this post. Find one or more and customize as your own. Click on one of these randomly selected rectangular or round designed tins to see what you get. For what other occasions can you see personalizing these Jelly Belly™ jelly bean tins? What style interests you most? I would love to see your comments here so please leave them below then visit this link at Zazzle Candy Tins to see all the other designs and find what interests you? Good information here! It really is a great gift idea for many occasions. Thanks so much for checking out the article and leaving a comment Deb. I'm thinking about some personalized Christmas stocking stuffers too. Nice post! Wonderful selection of tins pictured too. Thanks for stopping by Linda. Appreciate the comment. Super post ... you continue to impress me! I'm blushing. Thanks so much for your support Carolyn.